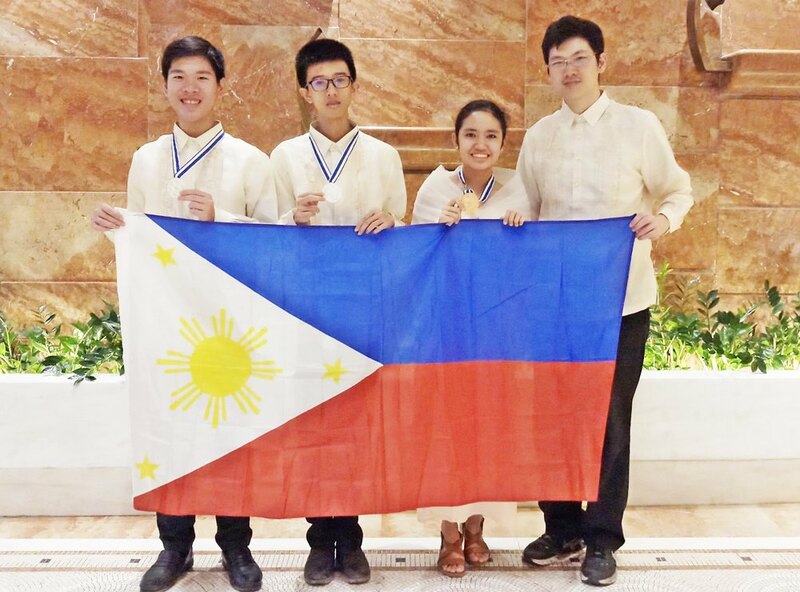 MANILA, Philippines – Three Filipino students brought home medals at the 22nd Junior Balkan Mathematical Olympiad (JBMO) held last June 19-24, 2018 at Rhodes, Greece. Daryll Carlsten Ko of St. Stephen's High School, Sean Eugene Chua of Xavier School and Deanne Gabrielle Algenio of Makati Science High School made the country proud as they bagged 2 silver medals (Ko and Chua) and 1 bronze medal (Algenio) at the prestigious international math olympiad. The young math wizards flew to Greece along with their team leader, Kerish Villegas of the the Mathematics Trainers’ Guild of the Philippines (MTG Philippines). During the contest, the students were asked to answer four problems for 4 and half hours under the category of Algebra, Geometry, Number Theory, and Combinatorics. Ko, one of the silver medalists shared how he handled the competition. He said, “Some of them only required a direct flow of logic while the others needed very specific observations in order to advance in the problem. It was not easy to think of ideas that could help us make progress in solving each problem." Chua and Algenion admitted that they were really put to the test but were confident that they can solve it. Chu said, “Although the problems seemed straightforward, they were designed in such a way that we were challenged to really think out of the box while being pushed to the limit." "Challenging, brain provoking, mind boggling problems but nothing we Pinoy mathletes cannot hurdle," Algenio said. Aside from the Philippines, there were also contestants from Albania, Azerbaijan, Bosnia and Herzegovina, Bulgaria, Croatia, Cyprus, Hellas, Former Yugoslav Republic of Macedonia, France, Republic of Moldova, Kazakhstan, Montenegro, Romania, Serbia and Turkey and Turkmenistan. The Philippine team was the sole country from Southeast Asia that sent representatives for the JBMO.